Upon its release, Babel contained 3 special books. However, some people wanted the option of buying only one book. It is now possible. You receive a special novel (the one you see in the video) and its instruction manual. The effects and principles of Babel remain the same. 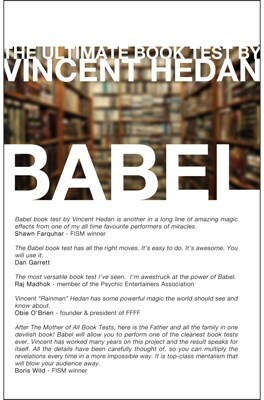 Babel is packed full with features allowing you to present miraculous book test effects. The novel has been carefully designed with one simple goal: to create super direct, super strong mentalism.